If you have a tax preparer that records adjusted entries, i.e. depreciation, then chances are you are not in sync. If the tax preparer records the entries and does not send back the updated accounting file then you are running 2 sets of books. To mitigate this, the tax preparer should send the adjusting entries to the company for processing. A company should always tie their “books” to the tax return. Are you concerned about sensitive information and other people within the company having access to that information? 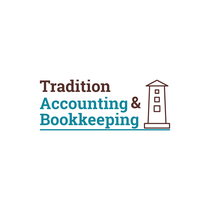 An owner can start keeping 2 sets of books to avoid the publication of sensitive data by using multiple spreadsheets plus the accounting software to get answers to financial position. If this is happening, try outsourcing the bookkeeping to relieve the accounting work, maintain independence and focus on the operational items of the company that are more important.